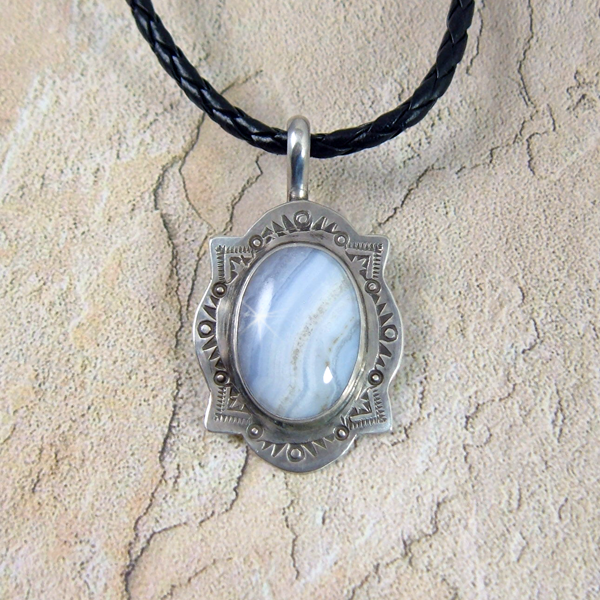 What do you see looking into this Blue Lace Agate, what memories does it bring you back to? 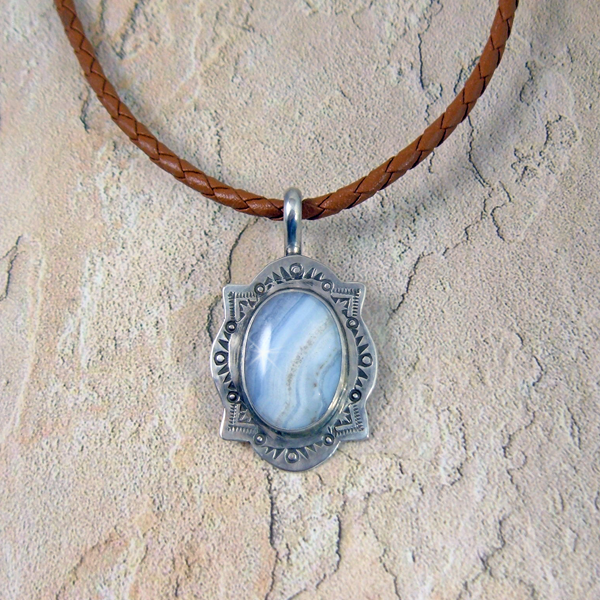 Blue Lace Agate is said to have properties that bring happiness and peace to your life. 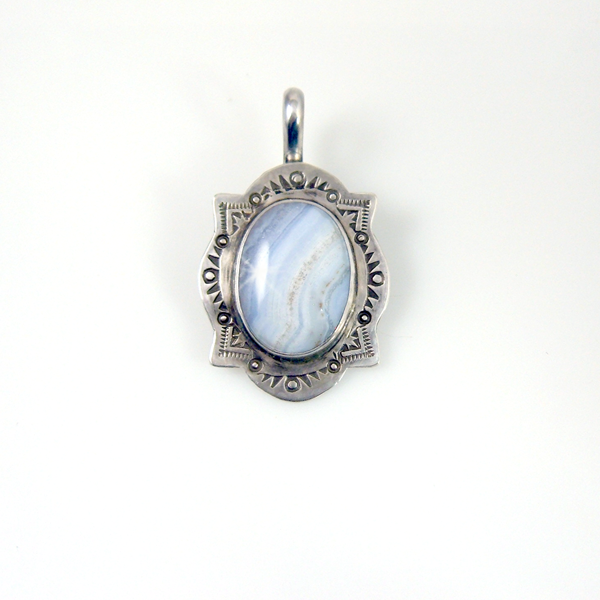 It is also the most popular and hardest to locate of the Agate family. This impressive gemstone is set in sterling silver and hand stamped using Navajo made tools. I�ve made the bail an open or slip on bail meaning you can slip it onto most any size or type of necklace you�d like, you don�t worry about the bead or clasp size. The slip on or sometimes called a hook bail doesn�t come off until you want it to making this a very popular and versatile style pendant. 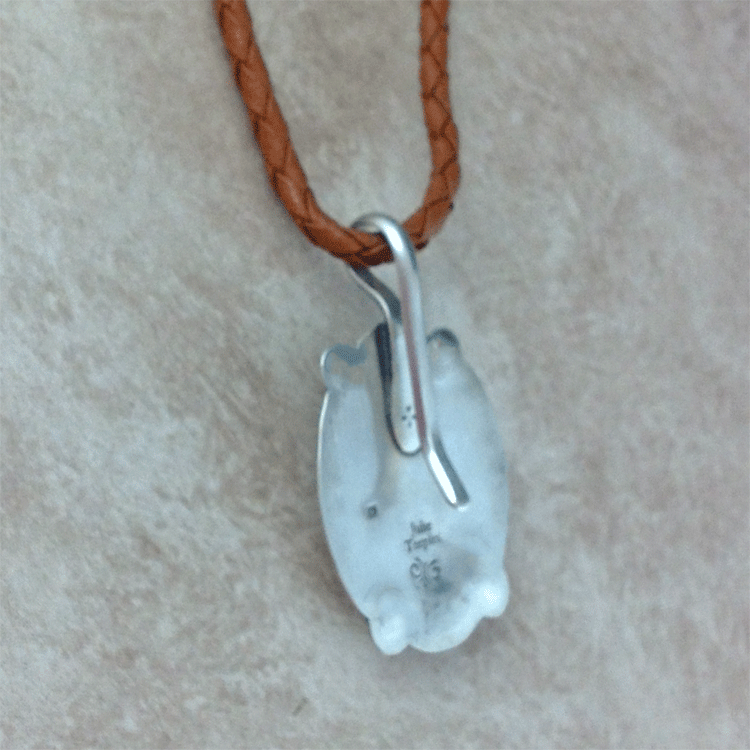 Wear it on a beaded necklace, a thick chain, hooked onto leather, a Navajo or natural pearl necklace. Several strands of leather lace is also a stunning look. 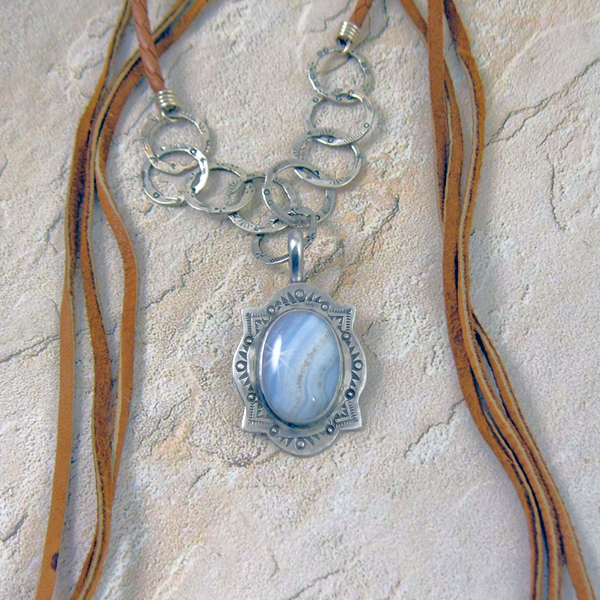 You�re no longer limited on how many ways you can wear this beautifully handcrafted blue lace necklace pendant.